We fixed a problem that might bother you. Enjoy Paint.ly as always! Not a good app. DO NOT GET APP. This game, no, I don’t even think that I can this thing a game because it isn’t a game, I guess. Anyway, this “thing” is not fun. I don’t like that there are in app purchases because if they have more than half the color pages cost money, why not just make the app like $2, or something. All the good and cute coloring pages are all like $3. 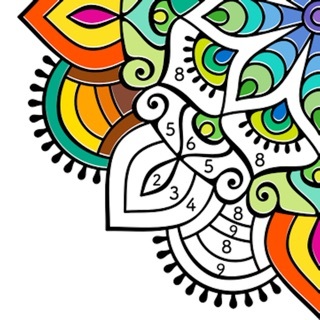 If you want to color by number I would not recommend this app for you. It is hard to color and it is sometimes too hard to find the last thing that you need to color to finish the color number thingy. There are also too many adds. I mean that is how they make their money, but still, come on, you really thing I am going to get those apps after I have play this app, am I right ladies. Okay the ladies agree, that is good. But, I mean, come on people, do not get this app it is a waste of your time and it is terrible. There are adds ever time you open a color page, close one, and finish one. I would not recommend that anyone pay the ridiculous prices to get the premium version of this app; I certainly wouldn’t. I’ve colored a number of the free pics, and there were errors of various kinds in over half of them. In the pic I colored most recently, there was one noticeable area that stayed white because a color number hadn’t been assigned to it. There were *six* colors left over when the pic was finished. (I know it was finished because I zoomed it to its largest size and scanned the entire thing.) And in an error that’s unique to this particular app because of a feature that appears to be intended to allow shading, the coloring area of one cell didn’t match the black border for that area, leading to a situation in which one part of the area was uncolored (white) and the other part bled over the black border line. I think that’s the first time I’ve gotten all of those errors in a single coloring page, but as I said, at least one of them was present in over half the pages I’ve done.